Technology and the internet are probably the first things that come to mind when you think about the future of work for young people; not agriculture or farming. This makes historic sense, as agriculture sheds labor when countries develop. And the traditional ways of producing food do not look particularly attractive. Yet, technology and the internet are also opening up opportunities for agriculture, and urbanization and changing diets are calling for new ways to process, market and consume our foods. So, the question is whether agriculture can provide job opportunities for youth. There are fewer but better jobs in farming. First, undoubtedly, the share of farming jobs is shrinking. This is normal. As countries urbanize and incomes rise, food expenditures decline as a share of total spending. To help produce these other goods and services, farmers take up jobs off the farm. Yet the process can only be sustained if labor productivity in farming increases, through innovation in production as well as better access to markets to sell the surplus. The current leading example is "Hello Tractor", an innovative platform in Nigeria to co-share tractors using SMS, GPS, and smart sensors. This 'Uber for tractors' has enabled access to smart tractors at the doorstep of small farmers resulting in a significant increase in productivity through mechaniz-ation. Though mechanization of agriculture is a good way of ensuring that the sector keeps up with modern times, it comes with its own set of challenges, including access to finance for timely availability of support services and for attaining scale. Temptations to subsidize mechanization should be resisted, ensuring that the process remains compatible with market forces instead, as revealed through factor price ratios (labor over capital and labor over land). Agriculture dependent jobs- But most new and good jobs are to be generated down and up agricultural stream. With the demand for aggregation, storage, processing, logistics, food preparation, restaurants and other related services becoming increasingly important, many employment opportunities will emerge off the farm, in the larger agri-food systems. Just like Hello Tractor generates high-quality job opportunities for tractor owners, drivers and other providers of financial services, these down stream activities will also open up significant job opportunities. In Southern and Eastern Africa, they are predicted to absorb about one quarter of the labor released by on farm agriculture over the coming decade. The problem is that from the perspective of employment opportunities, working in the agriculture sector is seen as a drudgery- a non-profitable occupation that has to be avoided. The farmers generally see it purely as a matter of fate and would like to see their children saved from this fate. At best, they see the farm as a source of mere survival, something that keeps them alive. No profession can grow if this is the perception of most of its practitioners. If agriculture is shown to be profitable, the cream of youth will want to get into it. Unless agriculture becomes an "industry", it will not be profitable. The industrial culture must come to the agriculture practice. This industrial culture consists of having clear specifications for the inputs, the process and the outputs; there must be financial discipline and cost consciousness; planning and rational decision making and finally, an awareness of performance indices - one must compare one's performance with industry standards and strive to better them. In my opinion, the performance indices, the accounts, including the stock and inventory, the profit and loss- these are all essential data components. Without them, it is not possible to ascertain the performance of the agriculture business. Yet, we ignore the lack of this basic facility. For instance, there is no conventional method or practice for weighing the fodder which otherwise is an important part of the industry.It is an equally important part of agriculture, but the facilities are lacking on every farm. It is a pre-requisite in the development of the agriculture sector. (iii) In India, 70 per cent of the labour force resides in rural areas and depends on low productive agricultural activity, where there is huge under-employment, leading to low level of productivity. The high proportion of poverty-stricken women living in India is due to their high concentration in low productivity work. (iv) There is a need to include subjects introducing school students to the agriculture sector in the curriculum for secondary education, so that the youth are at least aware of working opportunities in this sector. (v) In the rural setting, efforts are being made through MGNREGA to coordinate training provision with priorities set for rural development and to promote such non-farm rural activities which help in generating rural income and manage distress arising out of the seasonal fluctuations in the agricultural sector. Also, improved production practices through use of new technologies, alternative crops and labour intensive crops can have positive income and employment effect in small land holdings. Similarly, if we talk about disguised unemployment, it exists in a majority of rural households engaged in agriculture. Disguised Unemployment exists where part of the labor force is either left without work or is working in a redundant manner, where worker productivity is essentially zero. It is unemployment that does not affect aggregate output. An economy demonstrates disguised unemployment when productivity is low and too many workers are filling too few jobs. Such labour force should be convinced to move from direct labour to ancillary activities like food processing. (i) Bank loans to food and agro processing units will form part of Agriculture. (ii) The present distinction between direct and indirect agriculture is dispensed with. Instead, the lending to agriculture sector has been re-defined to include (i) Farm Credit (which will include short-term crop loans and medium / long-term credit to farmers) (ii) Agriculture Infrastructure and (iii) Ancillary Activities. a) Loans for setting up of Agriclinics and Agribusiness Centres. b) Loans for Food and agro-processing up to an aggregate sanctioned limit of 100 crore per borrower from the banking system. *Farmers with landholding of up to 1 hectare are considered as Marginal Farmers. *Farmers with a land holding of more than 1 hectare and up to 2 hectares are considered as Small Farmers. (i) There are essentially no subsistence farmers in the U.S.
(ii) Even those farmers in the U.S. that deliberately eschew modern machinery typically use a higher level of technology than the typical Indian farmer. 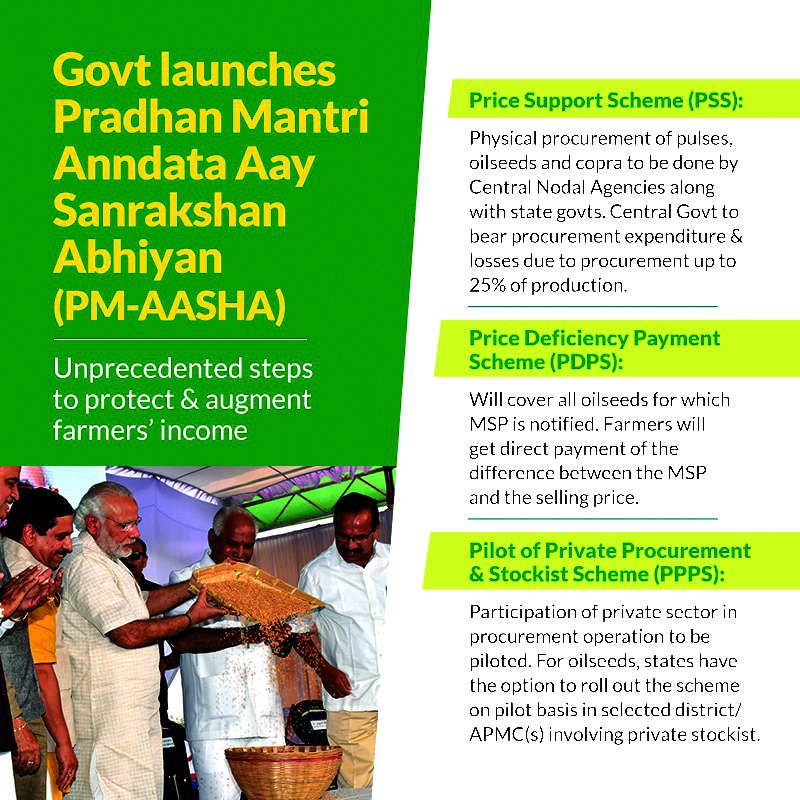 They also farm more efficiently; Indian fields and farm holdings are, in general, too small to be farmed efficiently. (iv) Indian farms are small, whereas US farms are large. In a nutshell, technological improvements and innovations like "Hello Tractor" in Nigeria should be focused upon. The disguised unemployment should be sincerely addressed by shifting them to ancillary and allied activities of agriculture like food processing, fishery, Kutir Udyog like making of papads, achaars, chatnis etc.